South Indian breakfast is incomplete without Idli and dosa.Idli is the healthiest breakfast option.What is idli? 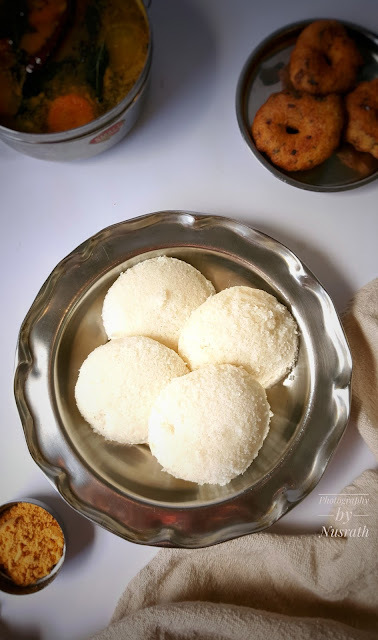 Steamed rice and lentil cakes are known as idli.Traditionally Idli is made with dosa batter.Soft,spongy idlis can be made with idli rava/cream of rice too. Idli rava looks similar to our regular rava and is easily available in Indian stores.Compared to regular idli's the idli's made from rava require less soaking and labour .All you have to do is grind the urad dal only.I have used standard cup for measuringYou can use any cup just remember to measure both the rava and urad dal with same cup.The ratio is 2;1 ,for 2 parts rava one part urad dal. Until my grand mother was alive only regular idli's were made .But when my mother took over the kitchen she found the idli's made with idli rava more convenient and happily accepted by the folks at home.Since then these idlis became part of breakfast menu.My kids don't prefer idli in their lunch box,so I reserve it for weekends.Usually Friday is the idli day at home.Steaming hot idlis with piping hot sambar.....Life can't be better than this!!! 2.Drain the water completely from the rava by squeezing between your palms. 3.Grind urad Dal to a paste by adding some water if required. 4.Mix rava and urad Dal paste thoroughly into a homogeneous mixture . 5.Cover and place it in a warm place to ferment over night. 6.In summer just leave it on the kitchen top where as in winters place it in oven or in the shelf. 7.In the morning add salt, sodium bicarbonate, mix well and set aside for 5 minutes. 8.Grease the idli stand with oil and add the batter to the moulds. 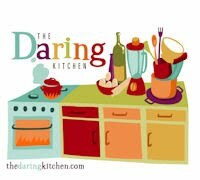 9.Do not fill the batter to the brim as the batter expands on steaming and it will over flow .and you will end up with shapeless idli's. 10.Add a glass of water to the idli pot and place it on the flame . 11.Place the idli stand care fully in the pot and cover the lid. 13.Allow to rest for 5 minutes and open the lid . 14. 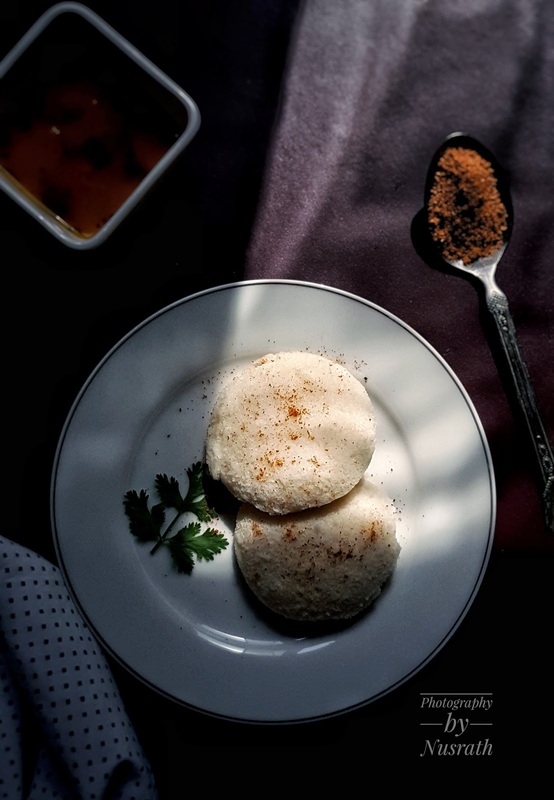 Carefully scoop out the idli's with a spoon and serve with your choice of chutney or sambar. Iddlies are always super food.and.our family favorite . I used to wonder why the idlis in hotels look so different from the home made ones. I did not know about idli rava and I am definitely going to buy this soon! It is easily available in India.Yes the semolina for rava idli is different from idli rava.Thank you famidha.